We are still alive! A year since we ended the long distance bike trip. It’s been over a year since we ended the long distance bike trip… yes, I know I haven’t blogged in ages – sorry! We are still alive, still cycling (though slightly shorter distances) and still running Cycletrekkers. Though Michael and I are no longer cycle touring and have embarked on a somewhat normal-ish life, we have started experimenting with the exciting world of bikepacking. So far, it’s been fab! 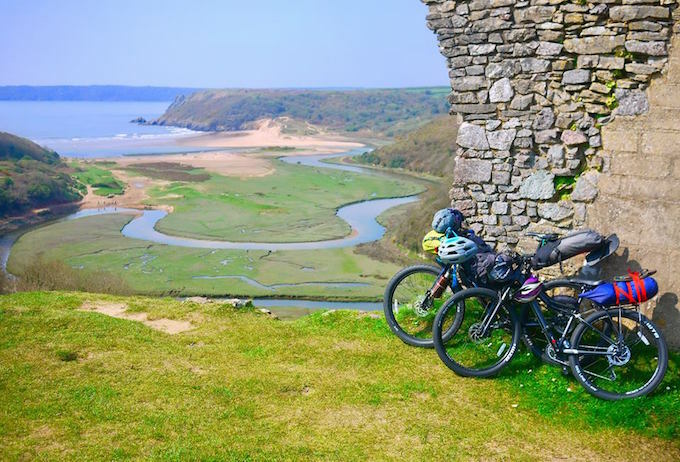 We spent a few days bikepacking in the stunning Gower Pennisula in Wales, and almost a week cycling in the very challenging (for me) Cairngorms National Park in Scotland. Only a few cuts and bruises, and I definitely need to build on my riding skill, that said we already have been chatting about heading off on a few more trips. Next on the cards, we have potentially Slovenia, potentially Spain and potentially Georgia. 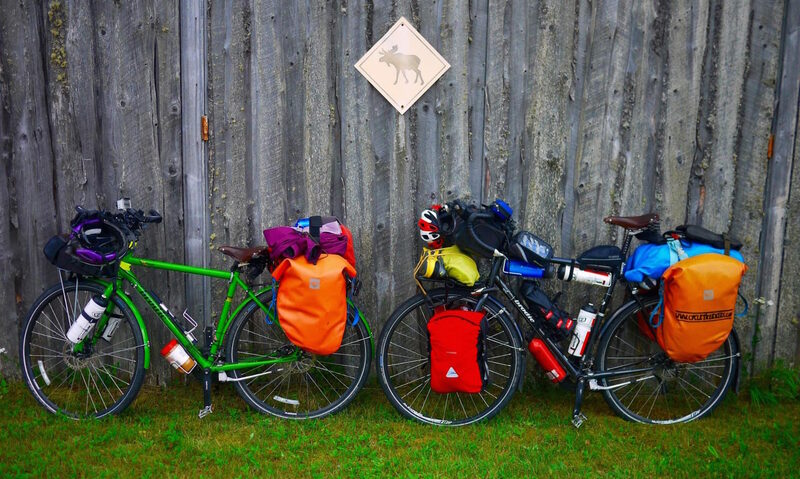 If you have any recommendations on great places to bikepack – let us know! Apart from bikepacking, we have spent time settling into our new home in Bristol, England – absolutely awesome city!! We had a few false starts when we first moved to England, but we are finally a bit more settled now. As we are living just off the Bath to Bristol bike path, it hopefully will be ideal for hosting and meeting some other Warmshowers cyclists – so let us know if you do happen to be in the area. Like most people that have just finished a cycle trip – readjusting took sometime. I was more prepared for it this time around – after the France to China by trip, the feelings of being disconnected from society and the overall cultural shock took me by surprise. This time, though I was more prepared, there were still the emotional challenges. It was hard readjusting my mindset to a life where people (ie. me) didn’t have to worry about whether I had enough water to get through the next 24 hours, or where I was going to sleep tonight or tomorrow night, or whether my tent was going to leak, or a tornado was going to randomly pass through during the night. It is an odd feeling – going from worrying about life essentials/ survival, to worrying about, well things that don’t really matter. Michael and I are still appreciating the little things in life, like having access to an oven, running water, hot showers, a good range of food, not living on an extreme budget, owning more than 5 pairs of clothes (I could go on and on). Though, still at times I feel very disconnected from society, especially when discussing anything about celebs, pop culture, or what’s on TV (I haven’t even bothered to buy a TV). These things didn’t matter in my life for 5 years – and though it’s common knowledge to some, for me, it’s not. It has lead to a few awkward conversations, including one where I wasn’t even sure whether Cher was still alive. At times I miss the simplicity of life on the bike, but I am still happy with our decision – I think it was the right one; and I am are enjoying where we are right now. I DO plan to clear out, update and post more on our website over the next few months. So watch this space!